We were thrilled that our first wine dinner of 2019 featured a legendary line up of Rieslings from two unique estates who both can trace their winemaking heritage back to the 1600s. 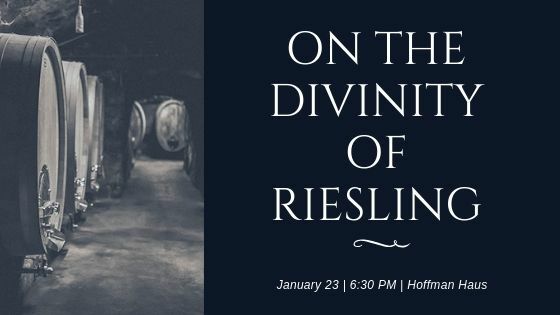 Guiding us through our study on the divinity of Riesling were Johannes Selbach, Estate Winemaker and Director of Selbach-Oster, and Andreas Spreitzer, Winemaker of Wiengut Spreitzer. To showcase the nuance and vibrant versatility of “The Noble Grape”, La Bergerie Culinary Director Julia Poplawsky created a menu inspired by the flavors of interior Mexican cuisine.